Your marriage today and tomorrow. Who cares? 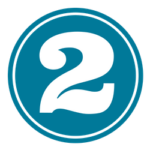 Some may believe that a marriage only matters to two people. The husband and wife. I don’t agree. A marriage relationship matters to many more people than the two who make a vow. 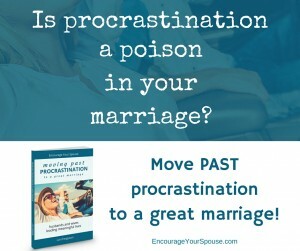 That’s one reason I welcomed the opportunity to read “Your Marriage Today and Tomorrow” by Crawford and Karen Loritts. A complimentary copy of the book was provided for me to read by the publisher. 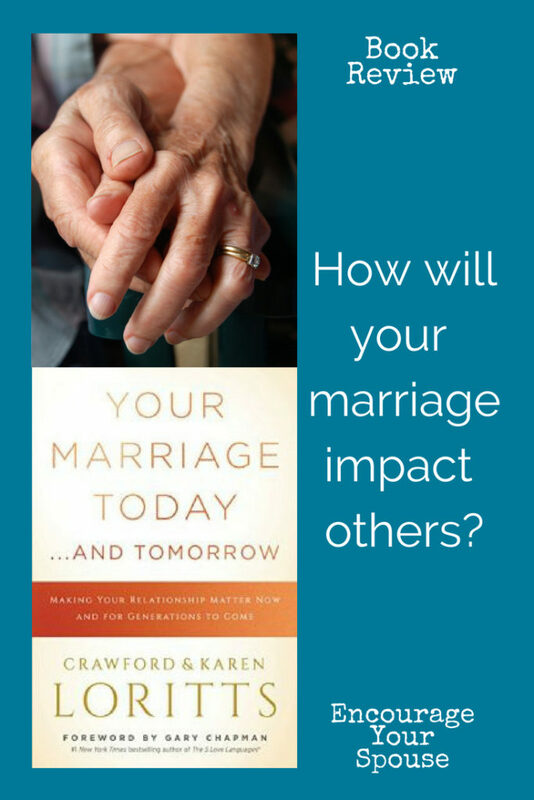 A husband and wife team co-authored this book, and it delves into the idea that a marriage has an impact on future generations. Marriage – today and tomorrow. I’m happy to say that this couple followed through in how they wrote about what intrigued me in the description. It’s a thought-provoking and discussion instigating book. 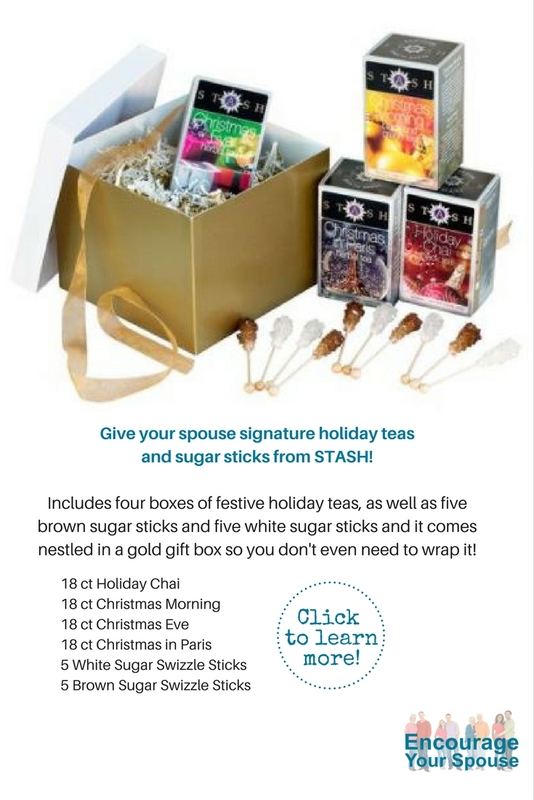 My suggestion is that “Your Marriage Today and Tomorrow” is for couples married more than a few years. Not that newlyweds couldn’t glean valuable insights – it’s just that I feel couples who are wading through the weeds might appreciate the long-term thinking behind what the Loritts provide. It makes the reader focus on the big picture. Rob and I have celebrated our 34th year of marriage. 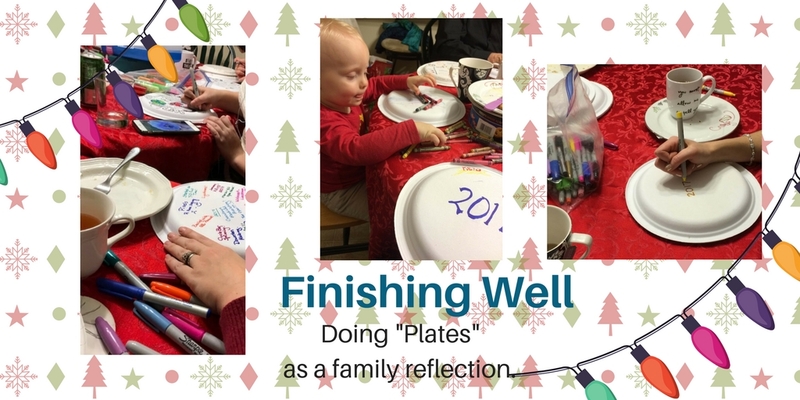 So many times I found myself nodding in agreement at places in the book where it pertained to how our marriage could impact those around us, including our adult children and grandchildren. I even read parts of it to Rob’s dad while we were visiting. He was nodding also. Your marriage matters to future generations. Once you’re past the newness of the first few years of marriage, every couple settles into real life. Ah yes. “Real Life” multiplies those personal, less-than-perfect habits. 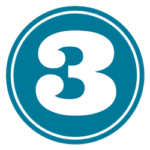 Practicing these three habits impacts your marriage today and tomorrow. 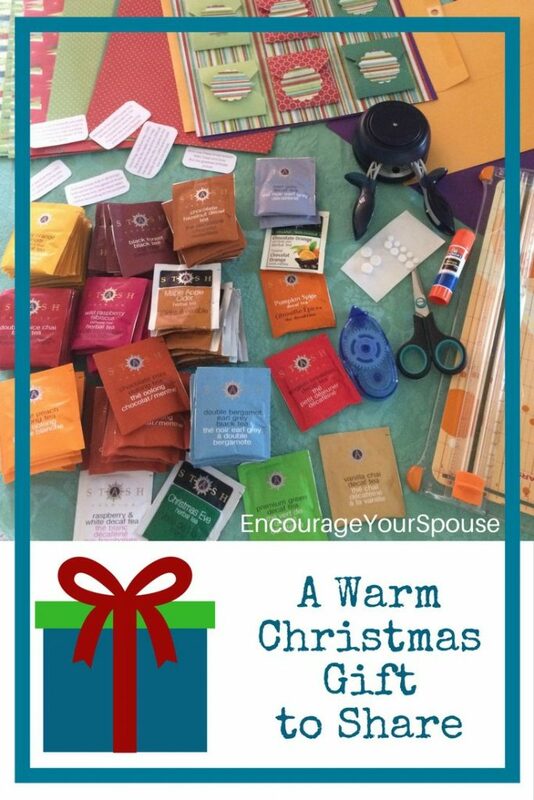 Chapters 5 and 6 cover the “gifts” every husband and wife need. 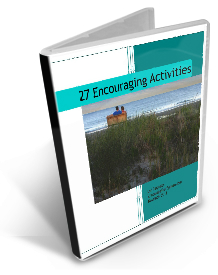 Again, the ideas in these chapters center around working on our character as partners in life. 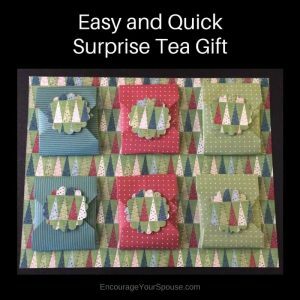 The gifts a husband needs from his wife are respect, support, encouragement, loyalty, and confidentiality. The gifts a wife needs from her husband are unconditional love, understanding, provision, protection, trust, and leadership. Biblical references support every gift. 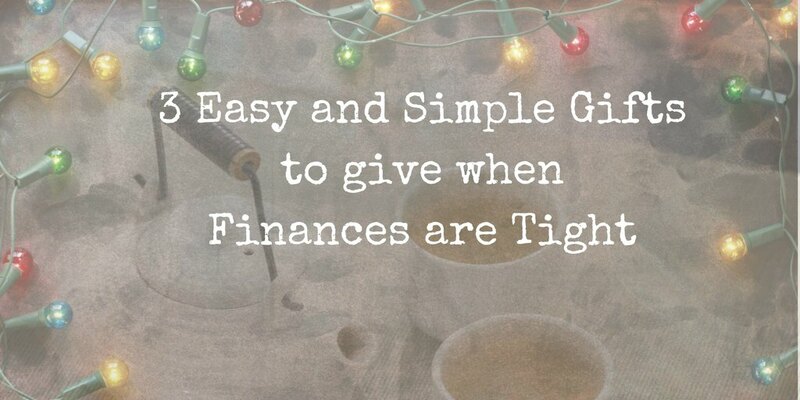 It would be interesting to read through these two chapters with your spouse and discuss each gift as it pertains to your marriage. 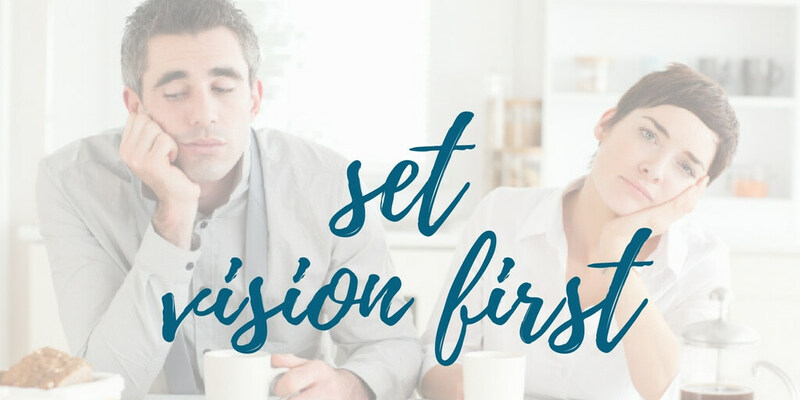 There are questions and concepts at the end of every chapter – talk about these ideas with your spouse and see where it leads you. 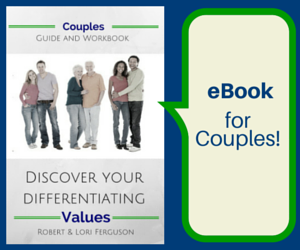 Throughout the book are examples and stories from Crawford and Karen’s personal marriage journey. 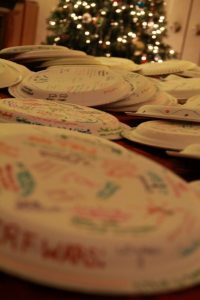 Also included are their adult children’s views. 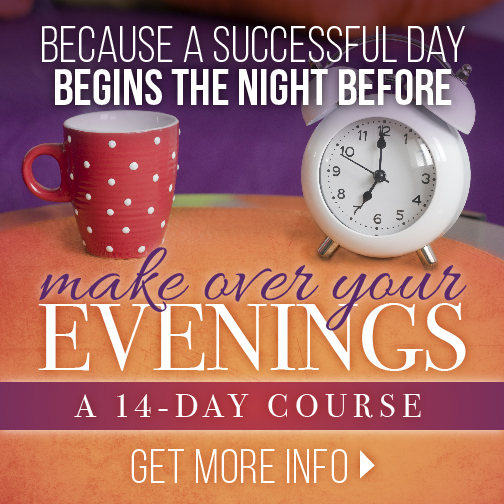 I imagine some of these personal stories will resonate with you and your spouse. Not all of us come from ideal backgrounds in marriage and being Christ-like. Karen and Crawford Loritts have been married more than 47 years, with 4 married children and 11 grandchildren. 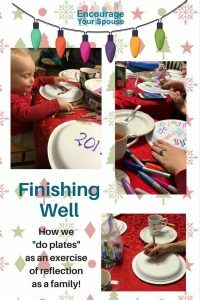 Crawford is a senior pastor in Roswell, Georgia and they’re also the co-authors of another book, “Developing Character in Your Child”. 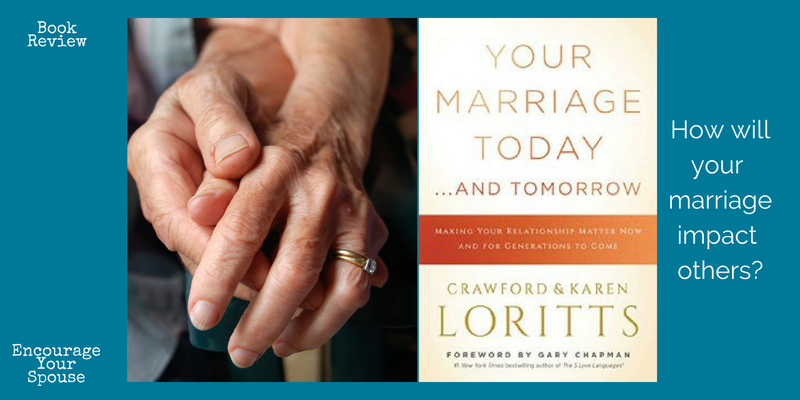 “The Great Handoff” is the title of the last chapter in the book, “Your Marriage Today…And Tomorrow: Making Your Relationship Matter Now and for Generations to Come”. It sums up the Loritts’ belief that marriage is a mission. Every marriage impacts the future. How will your marriage impact others? Read this book and consider the ideas! If you’re interested in other marriage books, check out this review or this one. Your vehicle do more? Yes! Your vehicle can do more than take you from Point A —> to —> Point B. Your car or truck can do more than be a line item on your budget or another item to clean. That thing you drive can become a blessing for you and your spouse and others. Making your vehicle do more! Rob and I have come to the realization that a vehicle can be much more than a box on four wheels. 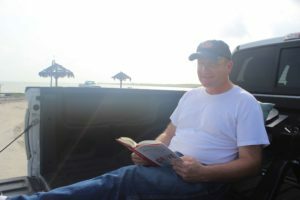 You see, we live in our 5th wheel, which is 282 square feet The truck has become another part of our home as it carries the extras like folding chairs, three different cushions (don’t ask), always a Bible, and extra technology chords. It has a few snacks tucked away, extra work gloves if Rob needs to pitch in and help someone, a blanket or two, two extra pairs of shoes (again, don’t ask) and a few other home-like essentials. And I take along a few non-essentials, too. In my door is a collection of shells to remind me that the ocean is never too far away. Now, don’t think the truck is disorganized or “junky” It is very organized because Rob is in charge! He’s the neat one in our relationship, so everything has its space and place. 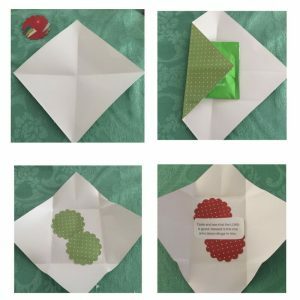 He even wrote a post about being neat as a value – about neatness as caring or control. 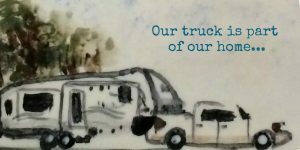 Yes, our truck is more than part of our home… it’s become a place of refuge. It’s become a blessing for us. 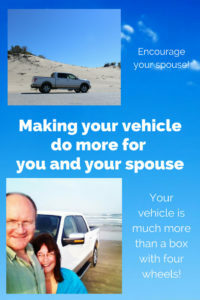 3 ways your vehicle can do more and be more for your and your spouse! A vehicle can be a place to pray in private and together. You know that you can pray anywhere, right? But sometimes we need to take ourselves out of the ordinary, and retreat to a quiet spot. Our truck is that quiet spot. I like to park the truck by flowing water to talk to my Heavenly Father. A park with a pond or lake or river or even beside a fountain in a shopping mall has been a spot for me to retreat from the world for a bit. I have my phone with me and can spend time in the Echo app where I record prayer requests from others. When Rob and I are together we pray before we start driving. We pray for who we going to see, and for the way to get there. We pray for the day. We pray for each other. 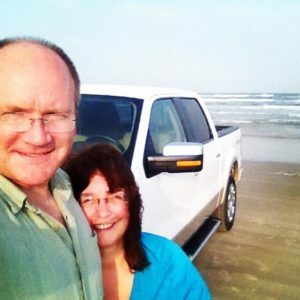 The truck has become our launching pad of prayer before taking a step into our life. Your vehicle can be a launching pad of prayer for whatever comes next. Your vehicle can be a place to learn and grow. Podcasts have become a favorite way for me to learn new things. 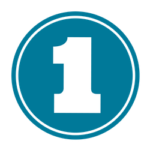 The range and breadth of podcasts available seem to be like the number of different people we meet – limitless! Some of my favorite podcasts are to do with writing and online business, faith, and of course, marriage. 😉 Robert has a podcast he does with other speakers, so of course, I listen to that one too! And books. The library is one of our most favorite places to visit, so we always have a book or ten on the go. I keep a book with me all the time so I have something to read when I’m waiting. With the sun streaming through the windows, or the rain gently tapping on the roof, the vehicle can be a lovely spot to read, learn and grow. Right now I’m reading all the books I can find on gratitude/thankfulness. When we’re traveling, I even read out loud to Rob from a book that interests both of us. 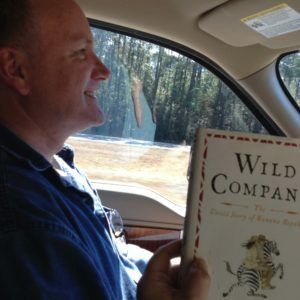 Podcasts and books – they’re another way to make use of your time in your vehicle! 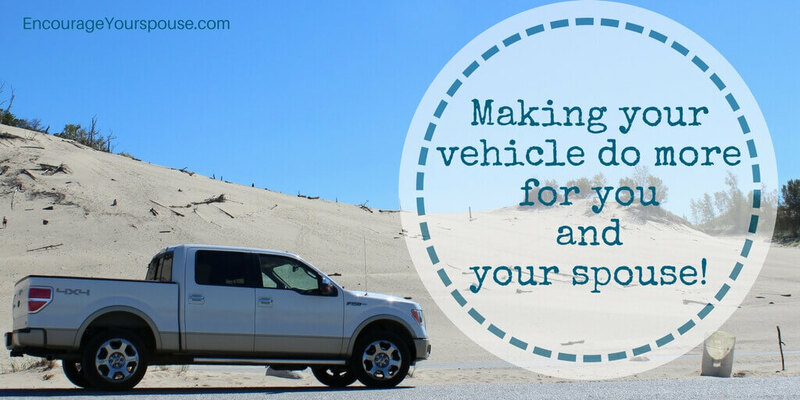 Your vehicle can be a place for a quiet, intimate conversation with your spouse. Rob and I have had some deeply important conversations in our truck – life-altering conversations. We’ve also laughed a lot in our truck. When we mentor couples we suggest they use their vehicle while it’s parked in their driveway as a get-away spot if the weather isn’t “outdoor” friendly. Have you had any good conversations in your vehicle with your spouse? Sometimes men prefer a side-by-side conversation so a vehicle can be a perfect spot to explore ideas and thoughts. 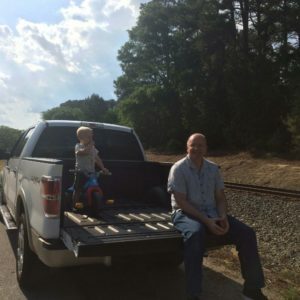 Because we have a pickup truck, the truck bed is also a great spot to use – star-gazing, reading, and waiting for a train to pass by with the grandboy! In what other ways do you use your vehicle? In what other ways do you use your vehicle, other than the obvious way to get from point A to point B? 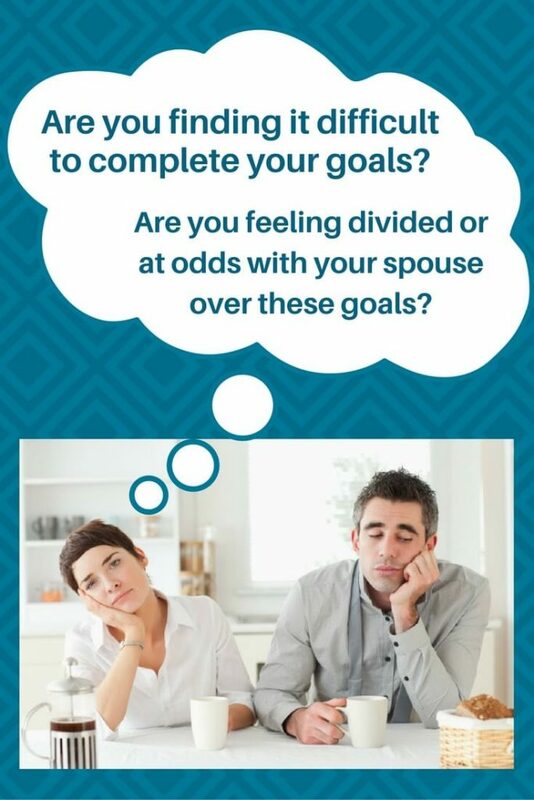 If you have goals as a couple, are they difficult to complete, or are you feeling divided or at odds with your spouse over these goals? Vision: a statement that holds your hopes and dreams. Imagine your vision as a point on the horizon. The direction you’re traveling to get to that vision is the mission, and all the goals along the way are propelling your mission. And your values as husband and wife are the signposts or rumble strips keeping you on the road. Read HERE about values. 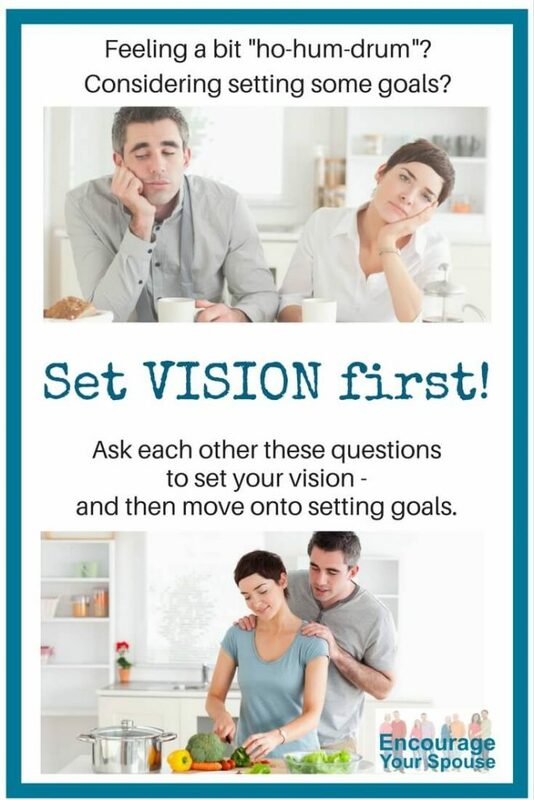 Some might suggest that you need a family vision – but Rob and I would argue that you and your spouse lead your family – so it’s really a vision that is spelled out by the two of you. A unified vision is powerful for a husband a wife. Why are we doing what we’re doing and involved in what we’re scheduled in? How are we making a positive difference in the lives of others? Who will benefit, now and in the future? What does real success look like, and what does it feel like? Pray. Ask God to lead your thoughts and desires around these questions. God knows what’s best for the two of you – ask Him! When you’ve set the vision, then you have something solid to build goals around and encourage each other in. Keep the hope for that better vision front and center. 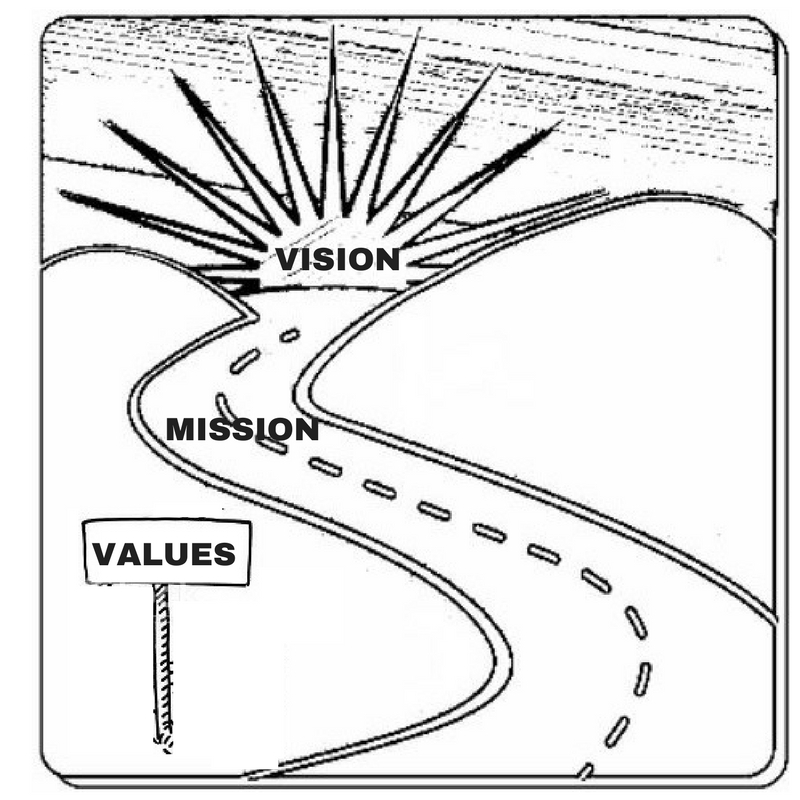 Build your goals around the vision and keep your progress in check with your shared values.